Age spots are a common part of getting older. While many people spend hundreds of dollars on over the counter solutions hoping they will work, others are discovering essential oils for age spots. Age spots, which are also referred to as liver spots, are small dark areas on the skin that vary in size. Typically, age spots appear on the face, hands, and arms, but they can also appear elsewhere. These are areas of the body that experience the most sun exposure year after year. The spots are usually seen in people over the age of 50; however, it is possible to start getting them when you are younger, especially if you spend a lot of time outside in the sun. While age spots do not pose any immediate health risk, a lot of people simply don’t like the appearance, especially if they are on the face and hands. If this sounds familiar, then it might be helpful to know that essential oils for treating age spots are considered a gentler way to address the issue. Aside from helping the dark liver spots fade, some essential oils are known to moisturize the skin and help with wrinkles. 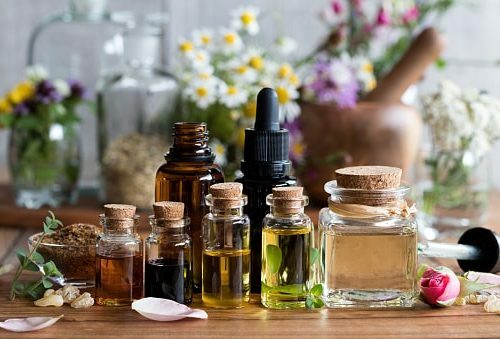 Research into essential oils for brown spots continues; however, the working theory is that they are caused by excessive exposure to sun, ultraviolet light, or are simply a sign of the natural aging process. Below we take a look at what essential oils are good for age spots. This is known to be very helpful in diminishing fine lines and wrinkles but also has anti-cancerous properties, which makes it a good oil for age spots. When using Frankincense essential oil for age spots, there is an added bonus—it acts as an anti-inflammatory and anti-infectious agent. Thought to fight the damage caused by free radicals as we age, sandalwood oil is used in many face toners and aftershave products. It can be anti-aging, anti-inflammatory, antiviral, and antiseptic. Many people report that it feels soothing to the skin. It is considered among the best essential oil for age spots on the face. Most people are familiar with the calming impact of lavender oil, but it also has regenerative properties, which make it beneficial for those who have scars and age spots. Lavender essential oil is antimicrobial and anti-fungal. This might be one of the lesser-known essential oils for removing age spots, but helichrysum does have regenerative properties like lavender does. It has been used for a long time in Mediterranean medicine. It can be very helpful for those who are fighting acne and skin inflammation too. This oil has a lot of beneficial properties for the skin. It is thought to be a good antioxidant and anti-carcinogenic, as well as a stimulant to new cells and tissues. As it regenerates the skin, scars and age spots fade. This essential oil balances the production of sebum in the skin thus reducing wrinkles and tightening the skin. People have also discovered that it helps reduce the appearance of age spots. Myrrh is thought to be a very powerful essential oil because it has anti-inflammatory properties, helps tighten the skin, and improves skin tone, particularly as we age. It is one of the best essential oils for age spots on the hands but it can be used in other parts of the body, such as the face and arms. This comes from a citrus fruit and contains citral, which has been known to aid the skin regeneration process. Neroli oil is not only good for aging skin, it is good for sensitive and oily skin. Patchouli is a potent essential oil extracted from leaves of the patchouli plant. It is one of the best essential oils for liver spots because it contains antibacterial, antifungal, astringent, and anti-inflammatory properties, which can help the skin as it starts to age. Rose oil reduces the appearance of scars, boils, or acne and is also considered one of the best oils for youthful skin. This oil is widely used in beauty products because it is effective in helping aging skin, including age spots. Tea tree oil helps regulate the production of sebum, which is the oil the skin’s sebaceous gland secretes. This oil is also good at regulating sebum and regenerating skin cells. Some people suggest that it makes for great anti-aging oil. Ylang Ylang is extracted from flowers of the ylang tree, which grows in the rainforests of Asia and the South Pacific islands. This essential oil is about 80 percent fatty acids, making it great oil for dry, aging skin. It can help restore elasticity to the skin and face and address both fine lines and liver spots. One of the most commonly used essential oils, lemon oil has a lightening effect on the skin, helping to fade age spots. Some suggest that it makes their skin glow. Lemon oil can be found in a number of cosmetic products, including exfoliating scrubs. This oil contains vitamin A and E to promote the production of collagen and regenerate skin cells but it also has omega-6 gamma-linolenic acid, which helps to hydrate the skin. Apricot oil is a popular choice because it absorbs into the skin quickly. An essential oil that contains a significant amount of Vitamins K and E, which not only restores the skin but also helps with blood circulation. It has a natural UV-blocking quality, making it a great preventative measure when it comes to age spots. For those who don’t like fragrance, this is a good choice because it does not have a scent. Coconut oil is rich in vitamin E, which is healing to the skin. It is also rich in medium-chain triglyceride lauric acid, making it very healthy oil for skin. In addition to helping fade age spots, coconut oil is known for helping fight cellulite and for fading stretch marks. Much like coconut oil, avocado oil has collagen-boosting abilities. Since it can be thick oil, most people do not use it on their face but do apply it to arms and shoulders. Others use it as carrier oil by mixing a little bit of it with another essential oil. This oil is rich in vitamins, making it good oil for those interested in reversing the signs of aging. It is known to help those who have dry skin, acne, eczema, and hyperpigmentation. Pomegranate oil is high in antioxidants that can fight free radical damage and the signs of aging. Pomegranate seed oil regenerates the skin and is known to increase elasticity. This oil strengthens the skin, as well as improving blood circulation and minimizing skin imperfections like age spots. Whether it is essential oils for age spots on the face or some other part of the body, when people consider using oils for the first time, they often seek guidance. The biggest question aromatherapists get is: How do you use essential oils? There are different approaches to using essential oils, including applying directly to the skin with your hands or a dropper and then massaging it into the affected area or in some cases, you mix the oil of choice with a carrier oil then massage into the skin. You can also take the best of the list above and mix them together for a soothing massage. Mix all the ingredients in an amber bottle and massage a small amount over the face and neck area. Blend the ingredients and store in a four-ounce bottle. Take a tiny amount in your hands and massage into your face and neck in the morning and again at night before bed. Mix the ingredients and then use a cotton swab to apply it to the age spots twice a day. There are many more essential oil recipes you can choose from. Speaking with an aromatherapist about your needs is a good way to get learn more about safe and effective recipes. If you are thinking about trying essential oil for age spots or for any other reason, here are a few points you should keep in mind. Allergic reactions: Some people find that certain oils cause a skin reaction, so it’s recommended that you do a patch test before using new oil. The inner forearm is a good test location because the skin is sensitive and similar to the face. Kids and pregnancy: There are some oils that children, infants, and pregnant women should not be using. Do some research and talk to an expert. Carrier oil proportions: Any essential oil should be weakened in a carrier oil to a maximum of five percent in order to be effective. The proportion is 1 mL (20 drops) of carrier oil for 1 drop of essential oil. Depending on your skin type, you may find that as you age, you start to get a few age spots or multiple age spots. While these age spots or liver spots are generally nothing to worry about, you should have your doctor check brown spots on your skin from time-to-time just to make sure that they have not changed in any way. Some changes can be a sign of skin cancer. Many people get their age spots checked during their annual physical examination. In between those appointments, if skin changes and is darkly pigmented or if the spots increase in size, have an irregular border, or are accompanied by redness, itching, and bleeding, you should seek medical attention.